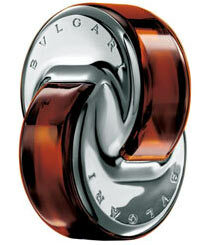 Omnia by Bvlgari is Bvlgari’s newest, light, modern oriental fragrance. Precious oriental spices, like saffron, ginger, cardamom and black pepper imbue OMNIA with fascination and mystery. Mandarin gives it solar freshness. Prized Masala tea, at the heart of the fragrance, blends in the taste of the orient. White chocolate and Indian wood add a touch of unexpected deliousness.